Our tree maintenance services sustain your trees by maximizing their visual appeal with our expert trimming and pruning services. Typical trimming and pruning will not only keep the beauty of your trees but also ensure their well-being. Untrimmed trees are equally unsightly along with probable hazards to your property. Untrimmed trees are at risk in hail and wind storms causing them to be very dangerous to the home and other property. Further, tree branches touching your home and roof, especially your roof, will likely void your homeowner’s insurance coverage causing you to be financially liable for any and all damage. Timberlake's Tree Service Chesapeake is skilled and experienced in trimming all species and sizes of tree. Planned trimmings manage both the look of and aids in a trees’ wellness. During the trimming procedure, there is not any more ideal time for you to evaluate a trees’ health – we always take the opportunity to offer our clients suggestions as to condition and health of their trees. We may be a bit biased when we say this, but ever property we see needs one or more of their trees trimmed. This procedure is a very often-overlooked aspect to landscaping and arbor care. Tree pruning and trimming can measurably improve the shape and aesthetics of your trees balancing them in your landscape and yard. Moreover, trimming overgrown trees will aid in the yard maintenance you have to do in picking up dead branches and sticks. 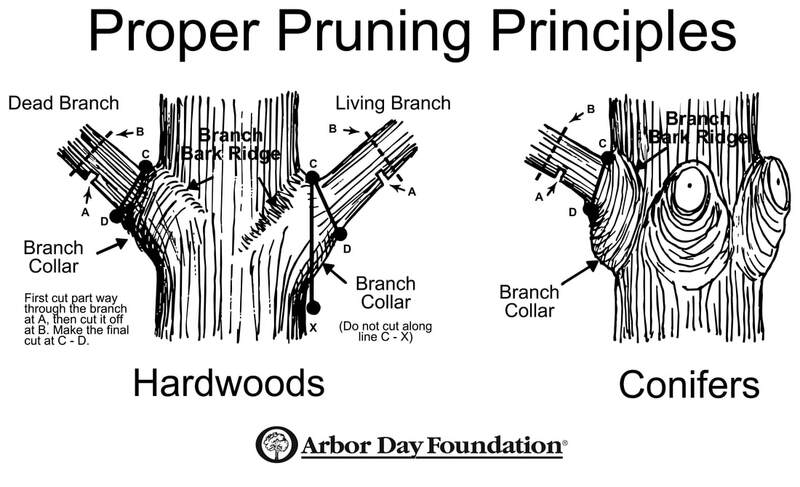 We strictly adhere to the tree trimming and pruning guidelines provided by the Arbor Foundation. In doing so, we ensure your trees are trimmed professionally and within the bounds of their natural growth and shape. We will never over trim you trees making them unsightly and stunting their growth – something you often see with less competent tree service companies. We offer tree services Chesapeake home and business owners expect when it comes to professional and affordable tree trimming. Lastly, we are very conscious of your lawn and other landscape plantings when performing our tree trimming and pruning services – we will never damage these surrounding and adjacent landscape assets. We encourage our customers to have their trees trimmed in the late fall or winter for a numbers of reasons, however we are happy to trim your trees in any season. We being our tree trimming and pruning service with an on-site visit to assess the nature of the job: type of trees, extent of trimming necessary, access, surround landscaping, health of tree, and of course your objectives for the trimming. We will provide you with an instant quote followed up with a written quote from our office along with our licensing and insurance information. Remember, never have an unlicensed or uninsured tree service on your property to do work – you may expose yourself to financial liability if these should have an accident while on your property. Once the trimming work is scheduled, we will call you the morning of to confirm our arrival. During the trimming process, we usually have one of our tree cutters climb to tree to perform the service while one to two of our crew locates on the ground to clean away the debris to our curbside chipper. For all branches you would like to keep, we will cut them into three-foot length logs for easy splitting or burning. All other limbs and small branches will be disposed of. Finally we will rake and groom your yard clean of any smaller sticks, leaving your property as we found it. Tree pruning is a more subtle form of trimming a tree. It involves cuts to small branches and limbs to maintain the overall appearance and health of your trees. It can, and should, be done annually, and ideally in the early spring. Timberlake's Tree Service Chesapeake can prune any tree, short of those that are severely overgrown. Typically, we target water shoots and dead branches that make a tree look unkept and unsightly. Lastly, we are also happy to prune shrubs and hedges while on your property trimming or pruning your trees - this combined service will save you money in a multi-service discount.